Convenience of payment over a time period: In certain situations, you might not have enough money in your bank account to make a payment or a purchase. In such situations, a credit card comes in handy as you can make the payment using it and then pay back the money borrowed from the bank later in instalments. Safety against fraud: It is said that the first rule of keeping your transactions safe and protecting them from fraud is to use a credit card instead of a debit card. This is also known as the Section 75 of the Consumer Credit Act. Since the liability of credit cards is safeguarded and capped at a limit which is less than that of a debit card, you are better protected. Credit cards act as interest free loan: Some of the credit card companies offer 0% interest rate on the credit amount to be paid. The time period for which they offer this benefit is known as interest-free period. During this period you can clear your credit without paying any extra amount. Opportunities of credit card cashback and rewards on purchases: Many different banks provide cashback to consumers on the purchases they make using the credit card of the bank. Credit card companies also provide reward points for purchases and gifts can be bought from these points. One such reward is air miles. The accumulation of air miles is dependent upon the expenditure of the credit card. The accumulated air miles can be used to buy flight tickets. Switching of debt: One of the major benefits of using credit cards is that you can transfer your debt from one card to other. This process can save you a lot of money as you can transfer debt from a credit card with high interest rate to a credit card with low interest rate and only at minimal transfer fee. Obtaining advance cash using a credit card: You can get cash advances from a credit card at a bank or an ATM when you are in need of cash although interest rates for obtaining cash via credit cards are high. 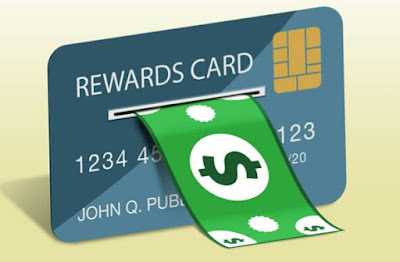 Signup bonuses: Many credit card companies provide signup bonuses for new customers. These bonuses include frequent flyer miles, cashback rewards and reduced interest rates. Workable in any currency: Some credit cards can be used internationally as well and you don’t have to worry about carrying foreign currency or travellers’ cheques every time you go out to make a purchase. A credit card offers advantages over other traditional debt instruments and although it has its cons, when used judiciously, it can be a boon and not a bane.